What is FRESZ Gallery? Where can I find information about it? – You can find all the information about FRESZ Gallery in the ABOUT section of our website. Where can I find Galleries’ full offer? – Our full offer can be found in the SHOP section of our website. Where can I find information about the artist I am interested in? – You can find the portfolios of the artists working with us as well as all his/her work available in the Gallery in the ARTISTS section of our website. How do I buy items in the Gallery? – The detailed, step-by-step information about buying process can be found in the HOW TO BUY section of our website. Can I personally collect the purchased item from the Gallery? – Yes, it is possible to personally collect your item. If you would like to do so please contact us to schedule a meeting. All the contact information can be found in the CONTACT section of our website. How does the items’ shipping look like? – We send all of the orders with a professional delivery service. Every parcel has insurance and it is send in a protected parcel mode. The Gallery is responsible for safe and professional wrapping of your order to protect it from any damage. The delivery service is responsible for all the damage made in shipping. If you notice any damage on your orders’ packaging or an infraction of the protecting wrapping tape fill in the complaint protocol in the presence of the delivery service worker or carrier. The type, size, character and placing of the damage should be precisely described. The protocol should be signed by the delivery service worker or carrier in a way allowing his later identification. The protocol needs to carry a date of issue. This protocol is your basic complaint document. What is the shipping cost and who covers it? – The shipping and delivery cost is covered by the customer. The shipping cost is estimated by the Gallery in up to two working days after receiving the order. Next the Gallery informs the customer about all the costs including both the purchased items’ price as well as the shipping cost. All the information about the buying process can be found in HOW TO BUY section of our website. How can I track my orders’ progress? – You will be informed about your orders’ progress via e-mail. Once your payment is posted on our account the parcel containing your purchased item is send and from this moment you can track its’ journey using delivery tracking service. – Yes. According to Polish law you can return the purchased item up to 14 days from the day of the purchase. You can do that by sending us a signed Example of the Contract Withdrawal – FRESZ Gallery via post or via e-mail. You cover the cost of the items’ return. Apart from the cost of return shipping you also need to cover the cost of insurance for the purchased objects’ journey back to the Gallery as well as the cost of shipping it in a protected parcel mode. When can I find the all the news from FRESZ Gallery? – For all the updated information about our new arrivals, our incoming events and other activities head to our Blog and our Facebook profile. You can also sign up for our newsletter to stay updated with all the latest news on FRESZ Gallery. Do I have to register on the website to purchase items I am interested in? – No, you do not have to register to buy objects on our website, you can shop using a Guest account. Although we encourage you to register on our website – we will keep you updated on our new arrivals and our incoming events. We can assure you that none of your personal data will be passed to or sold to any other company. When can I edit my personal information on the website? – All the changes in your personal data can be made after logging in and clicking on MY ACCOUNT section on our website. Where can I find legal terms and conditions for the Gallery? What actual measurements do the size symbols on the website represent (XS, S, M, L, XL)? XL (extra large) – the size of the object exceeds 150 cm in at least one measurement. Acrylic (acrylic painting) – painting technique, which uses acrylic paint. Acrylic painting is an alternative to oil painting. Also it is more comfortable than watercolour painting or gouache. In this technique water is used as a medium for diluting the paint. Once the paint is dry it is waterproof, non-toxic and not harmful to the environment. Acrylic paint can be used on many different surfaces – canvas, paper or wood. It is very long lasting. Etching – graphics technique classified as a type of intaglio printmaking, which consists in cutting an incised design on a copper plate coated with varnish using nitric acid and steel needle. Needle with corrosive acid slowly removes the varnish, revealing the surface of the plate. The corroding process results in leaving incisions on the surface of the copper plate creating an incised design. The design is rubbed with ink and its’ print is made on a moistened paper using a press and high pressure. The thickness of the line left on the print depends on the depth of the incisions on the design. Watercolour – technique consisting in using paints diluted in water on a porous, water-absorbent paper. Diluted pigments do not cover the papers’ texture completely but rather leaves it well visible. Therefore the colour and the texture of the paper deeply influence the final outcome. Paintings made with this technique usually have delicate, light colours because the colour scheme possible to achieve is usually pastel. Watercolour paintings are typically sensitive to light. Aquatint – a kind of graphics technique classified as a type of intaglio printmaking, similar to etching. Preparing the printing form in the method consists in covering a metal plate with powdered rosin or asphalt dust that is then melted in high temperature to make it stick to the metal plate. The painting is marked on the metal plate by covering chosen parts of the plate with varnish and corroding the exposed part of the plate with nitric acid. Aquatint is different than etching mostly because of the fact that in aquatint the plains are being corroded and not the lines. By repeating the process of corroding the metal plate on increasingly smaller areas of the painting the artist achieves an effect of different depth visible on the final work. That in turn allows the artist to valorise the ink colour to attain different undertones. A print made in this technique can look similar to a watercolour or an ink drawing. Collage – technique consisting in forming an artistic composition using different types of materials and components (newspapers, fabric, photographs, little everyday use objects, etc.). Those are then glued onto a canvas or paper and combined with traditional artistic techniques (e.g. oil painting, acrylic painting, gouache). Woodcut – graphics technique categorised as relief printing. In this technique a painting is marked on a piece of wood and then the paintings’ background is being cut out to make it appear white on the final print. Prints are made by hand or using a press. Wood engraving is the oldest known graphic technique. Fixative – a chemical substance used to protect the top layer of a painting or drawing, which is likely to crumble or smudge because of the used technique in the painting (like charcoal or pastel drawings). Graphics – one of the basic brunches of art (together with painting and sculpture). It includes techniques allowing an artist to copy a drawing on paper or fabric with a previously prepared mould (matrix). Depending on its’ function we can distinguish the artistic graphics also known as workshop graphics and applied graphics which can also be called graphic design. Artistic graphics (workshop graphics)* – can be distinguished by the fact that all its’ artistic process – starting with a project, through making a matrix and all the way up to creating final prints – concentrates in artists’ hands. It creates a drawing/ engraving which has a value of an original piece of art. A number of prints achieved from one matrix depends on the artist decision as well as on the used technique in the process. Often the final prints are individually marked and are given numbers. You can spot them written in pencil on the back on the print – the first number is a number of a print based on the order in which the works were printed slash the total number of works printed from the same matrix (the second number). 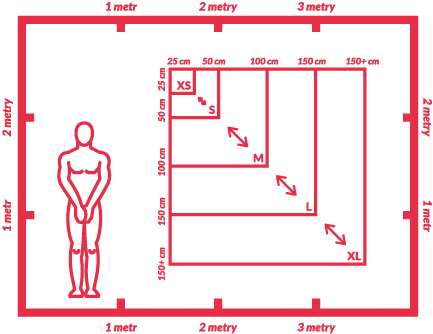 For example, mark 4/20 means the fourth print of twenty prints made from the same matrix. Applied graphics (graphic design) – is a brunch of graphics and artistic printing applied for an everyday use objects. It is mostly connected with marketing and advertising. The term graphic design includes contains multiple forms: a poster, an illustration, an occasional print, also magazines, newspapers, stamps, banknotes, bookplates and typography. ⦁ Relief printing techniques, which consist in carving out those lines and planes in the matrix that are not suppose to be visible on the final print. On the print you can see marks left by the convex part of the printing mould. Among others these are: woodcut, stone engraving, linocut, plaster engraving, pyrography, zinc engraving, cork engraving, flexography. – Metal techniques: those out of dry and corroding techniques, which are using a metal plate for creating a matrix. ⦁ Flat printing techniques, which consist in preparing a matrix in such a way, so that the part of the mould not covered with a drawing is resistant to ink. Among others these are: lithography, algraphy, zincography (zincotyping), monotyping. In addition to these three groups there is also screen printing and digital printing. The first one is different from the groups mentioned above in the fact that the ink is forced through a matrix and it is used in the serigraphy art. Digital printing however, unlike the other types, does not require the use of a printing mould. Gouache – painting technique using water-based paints (like watercolour) mixed with chalk or white paint. This paint gives more coverage than watercolour and enables the artist to apply several layers of paint on the surface. Gouache painting is most commonly used to perform sketches for oil paintings and to illustrate books. Although there are also painters specializing in gouache successfully applying this technique to paint the “fully fledged” paintings. Incagraphy – modern graphics technique, in addition to lithography and serigraphy used among others for high-quality duplication of artists works. By using appropriate techniques, first-class ink and paper, the highest standard durability versions of a work can be obtained. Incagraphy is usually published in limited editions and signed by their creators. Incagraphy is widely recognized as one of the types of art collectibles; primarily in USA and Western Europe, where they are most prevalent and they are know as “prints”. Linocut – graphics technique belonging to relief printing techniques. Linocut is similar to a woodcut, but instead of carving in wood the drawing is cut in linoleum. The linoleum is easy to work with and resistant to damage. Also it gives you a possibility to carve in all directions. To create the matrix the artist use chisels, knives and other cutting tools. In this technique the final prints are made by covering the convex part of the matrix with ink, then putting a sheet of paper on it and continuously letting it through a printing press or applying an appropriate pressure by hand. Lithography – graphics technique belonging to flat printing in which a duplicated drawing is carved in a lithographic stone (type of a limestone). In a classic lithography a drawing is being transferred onto a lithographic stone using an oiled or waxed crayon or a lithographic ink. The lithographic stone was smoothly polished or rubbed with sharp sand to give an impression of a coarse-grained facture on the final print. After the drawing is made the surface of the stone is acidified with a weak solution of nitric acid and then covered with acacia gum (gum Arabic). Thanks to that the parts not containing a drawing are being protected from paint – they become oleophobic but on the other hand they are still hydrophilic (water absorbent). At that point the drawing is being moisten with water and filled with ink. The ink is only distributed on the oleophobic (not corroded and protected with oil or wax) parts of the drawing. In this technique the final prints are being made by putting a moistened sheet of paper on a stone matrix and by copying them on a lithographic press. Because of the limestone fragility the press is built differently than a press used for metal engraving techniques. Mezzotint – graphics technique categorised as intaglio printing and belonging to dry techniques (not requiring corroding of the material). The drawing is created with a smoothing plane used on a rugged surface of a metal plate, which is previously prepared by cutting it with special tools. The right form of the engraving is achieved by smoothing out certain parts of the surface with a smoothing plane or a bur. The smoother certain parts of the surface are the lighter tone is going to be achieved on the final print, because less ink sticks to a smoother surface. In this technique the final prints are characterized by a subtle transition from black to white and very soft undertones. It is the most painterly of all graphics techniques. It was often used for portraits and reproductions. Chaleography – this graphics technique, categorised as intaglio printing, is the oldest graphics technique using metal. In this technique a drawing is made on a polished copperplate using a stylus. First, the overall contours are being carved out and filled with a moulding. Later, the copperplate is covered with paint and the excess paint is being removed in a way that it only stays in the carved incisions. Next the engraving is copied on a moistened sheet of paper using a special press. The final print made in such a press and it characterizes with thin, sharp lines. The paint on the print creates slight convexity. Monotyping – graphics technique belonging to flat printing with a characteristic feature – it can only produce one final print. This technique consists in creating a composition using slow drying paints (oil paint or ink) on a metal plate or glass. The print is made by hand (with a painting roll, a tampon or a cube) on a moistened sheet of paper. Working in this technique requires multiple attempts and a lot of effort. Only a conscious directing of technical process can result in creating an artistic work. Oil (oil painting) – painting technique using oil paints. Oil paint consists of linseed and pigments and it is diluted with turpentine. Canvas, beaverboard or wood is often used as a basis for the painting. Oil painting is a very expensive technique but it gives the artist a great freedom in choosing and mixing colours as well as achieving a mat or shiny effect, translucency and colour penetration. It also gives a possibility to create complex textures. This technique allows the artist to repeatedly retouch the painting by applying another layers of paint on the painting. Oil paintings are usually very long lasting. Oil paintings require varnishing using a special solution of the rosin. This substance makes the paint more intensive, it revives the colours on the painting as well as it protects the painting from effects of weather conditions. Pastel – painting technique as well as drawing and painting tool in a form of a colourful pin, crayon or pencil. It is used for marking the groundwork with colourful pigments. Pastels are produced by mixing a pigment with chalk and a rubber binder. There are couple different types of pastels and the most popular ones are dry and oil pastels. Paintings made with pastels are usually light and delicate in colour with soft lines. The colours are long lasting but because of the fact that pastels are using dry pigments they can be sensitive to tremors. Pastel works are solidified with fixative. A frame with a glass cover (not sticking to the painting) is recommended for all pastel paintings. Serigraphy (also know as screen printing) – one of the graphics techniques in which a template put on a fine net (metal or synthetic) is used as a printing mould. The printing net is usually a rectangular, aluminium frame with a template net tightly secured on it. Traditionally the net was made with silk or cotton thread, nowadays it is rather made of nylon, polyester or metal. In this technique the final print is created by pushing the paint through the matrix mechanically or by hand. Mixed technique – technique in which the artist uses multiple techniques to create one work, for example when different graphics and painting techniques are mixed in one composition or when a work of art is created with different materials (paper, fabric, photography). Original technique – artistic technique created and used by a specific artist. Tempera (tempera painting) – painting technique, which uses tempera paints – fast drying paints which do not require priming and are suitable for painting on canvas, wood or regular paper. This form of painting was known since Middle Ages and was a leading technique in that period of time. Nowadays a classic tempera as an independent painting technique is very rarely seen. Most often it is used for sketches and underpaintings. Nevertheless for many reasons it is as attractive for the artists as oil painting (it is perceived as potentially very long lasting and it is easy to learn its’ technical background. Also clean water can be used both as a diluter and a paint remover). Charcoal (a painting created using charcoal/ charcoal pencils) – one of the oldest drawing techniques. There are two types of natural charcoal: hard charcoal (made with charred wood pieces) and soft charcoal. It is used also for graphics, which do not require depicting too many details, for example still life or large-size portrays. It allows the artist to work freely and smoothly. It is often mixed with chalk or pastel. Charcoal can also be easily smudged for a different effect. The artist can remove or underline marks made with charcoal by using a kneaded eraser, paper towel or a soft piece of fabric. Charcoal works are solidified with fixative.